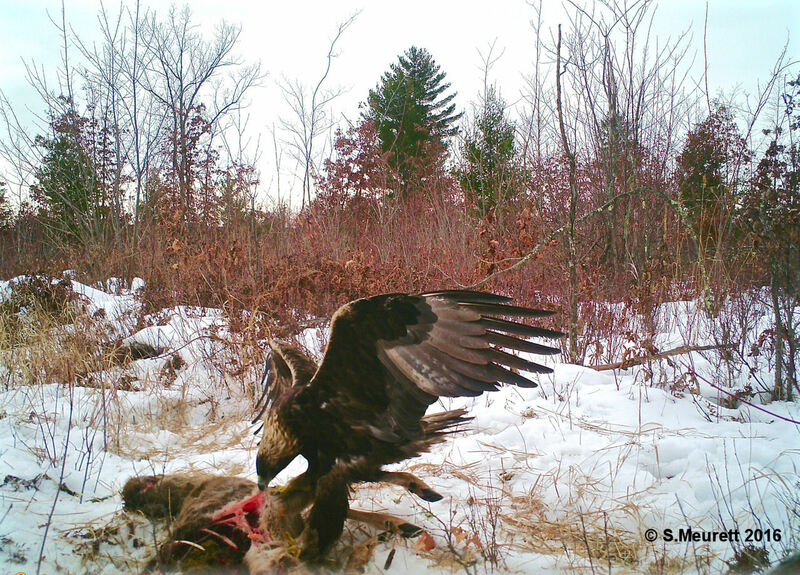 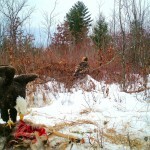 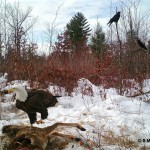 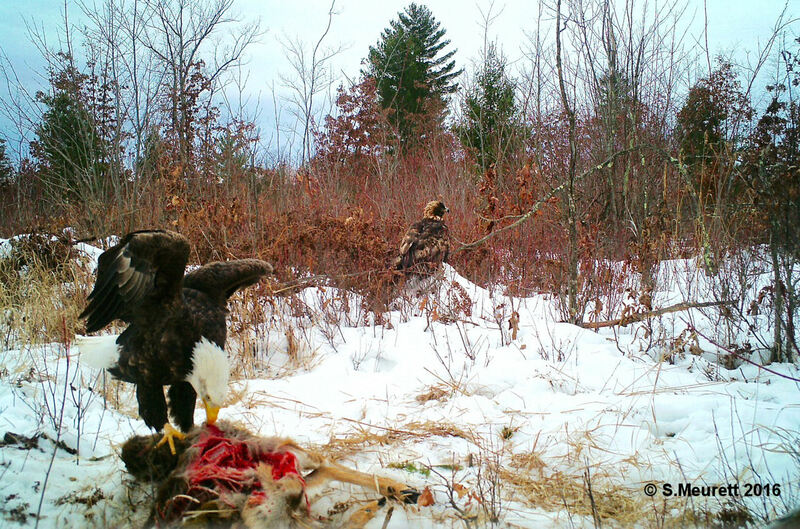 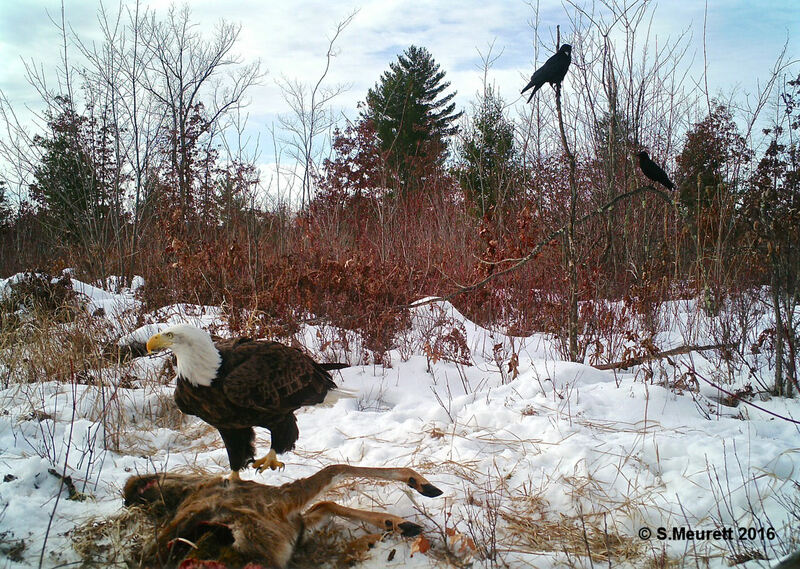 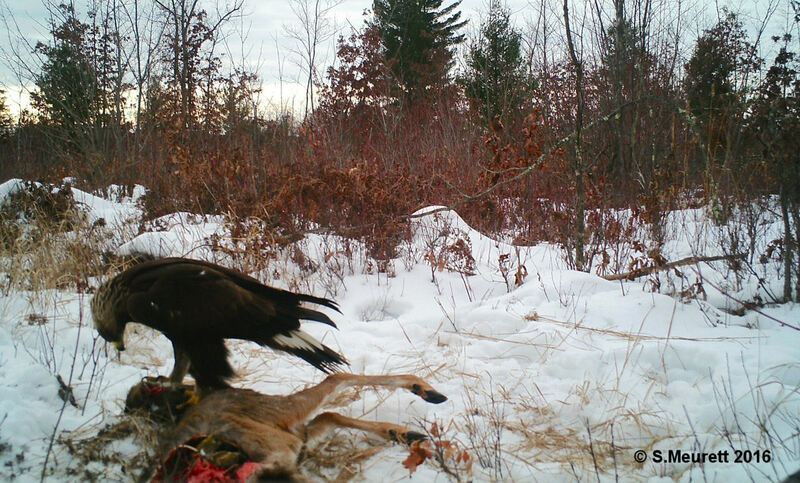 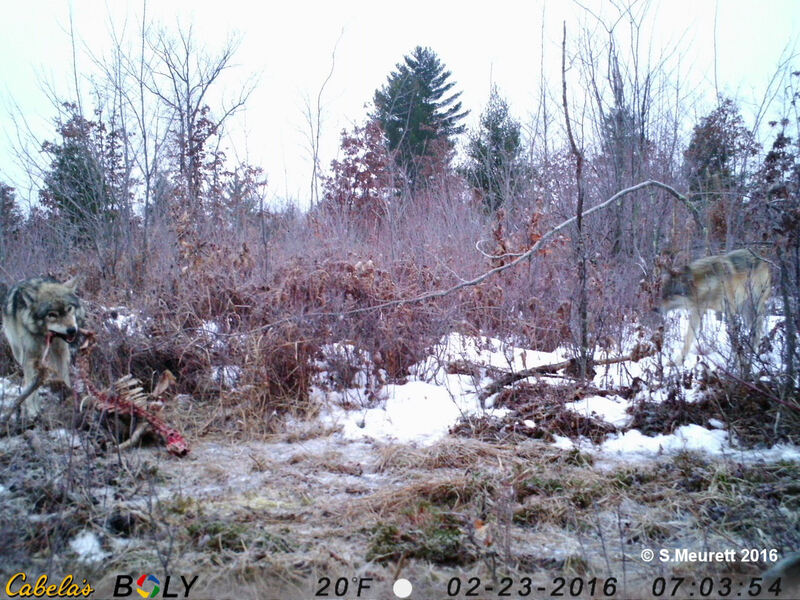 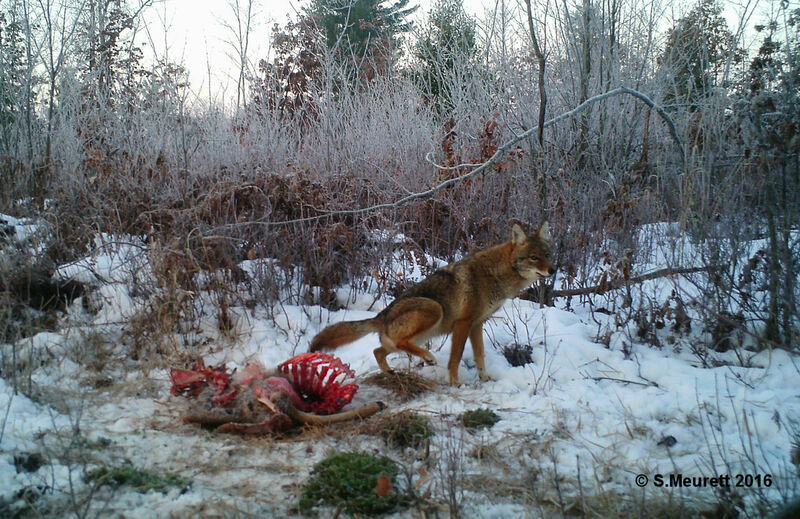 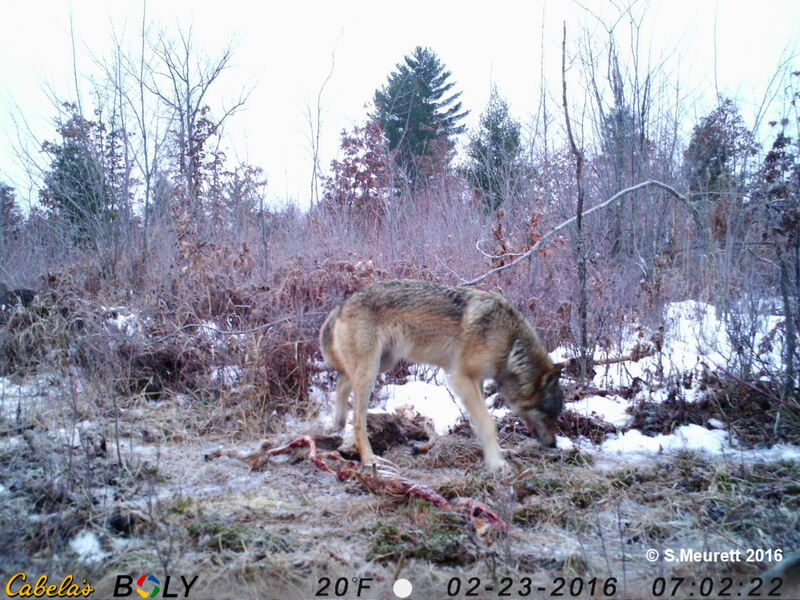 TWIN member and carnivore tracker Steve Meurett shared these awesome trailcam photos with us – a deer carcass visited by a bonded pair of wolves, golden eagles, bald eagles, and a very brave coyote! 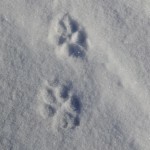 Click on the thumbnail for the full-sized version. 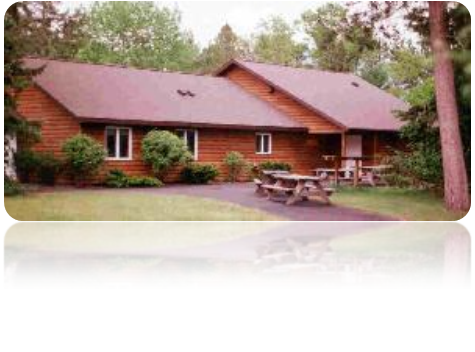 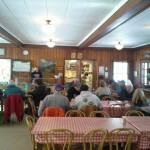 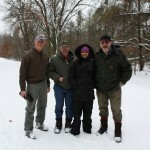 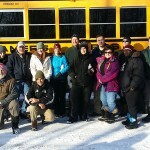 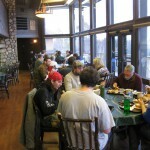 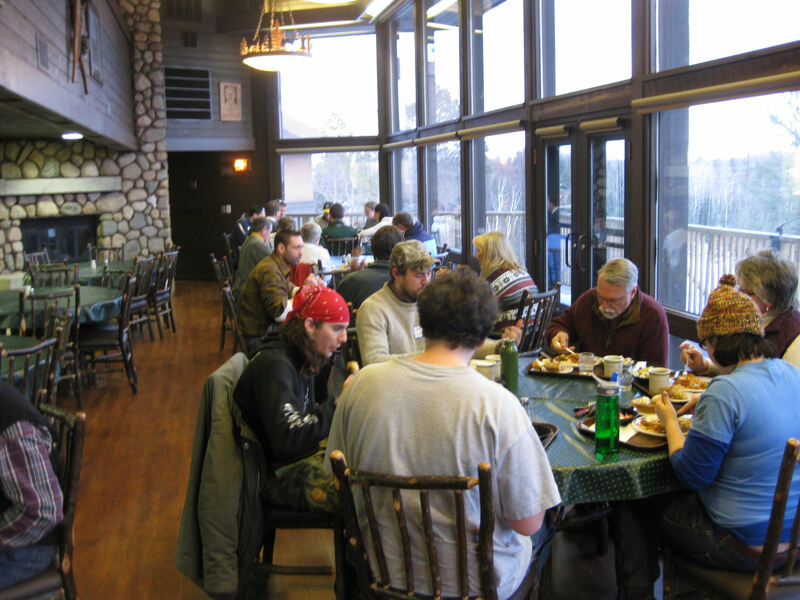 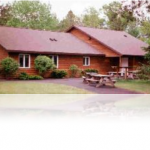 Join us for a weekend you won’t forget! 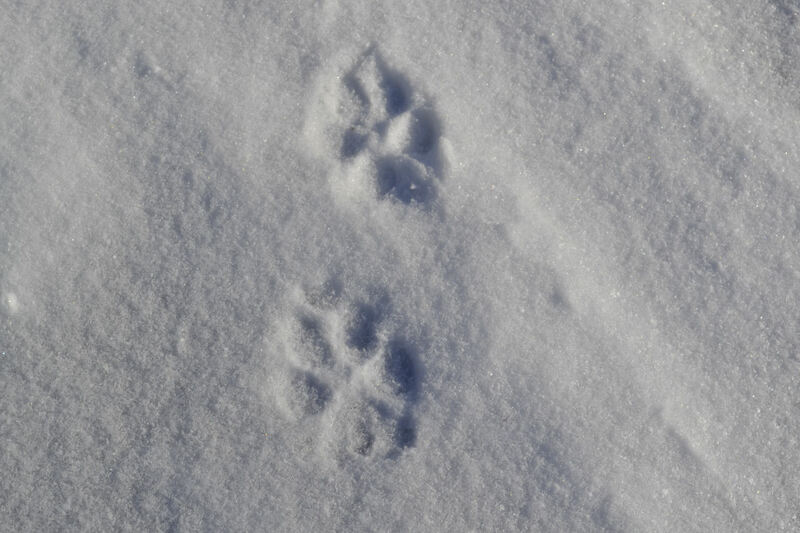 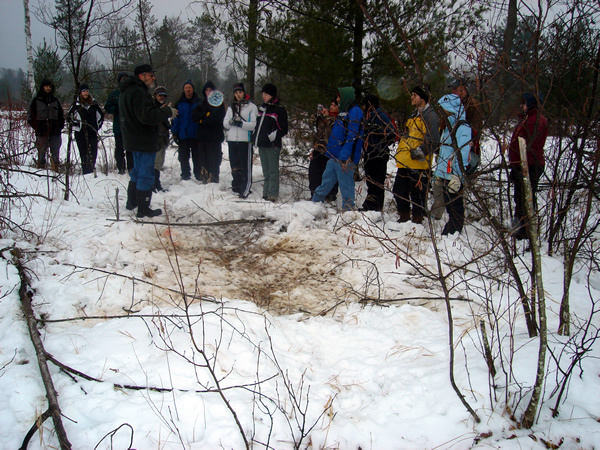 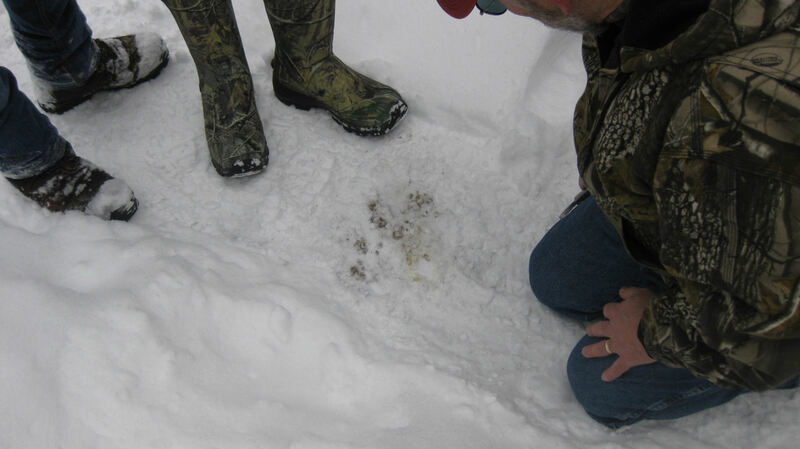 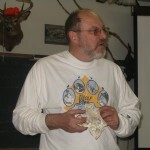 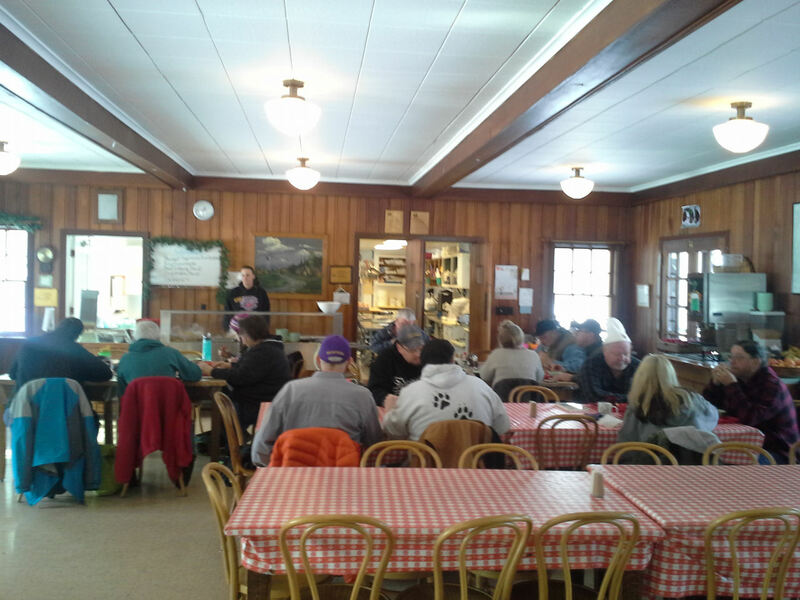 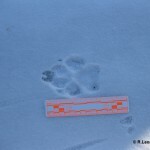 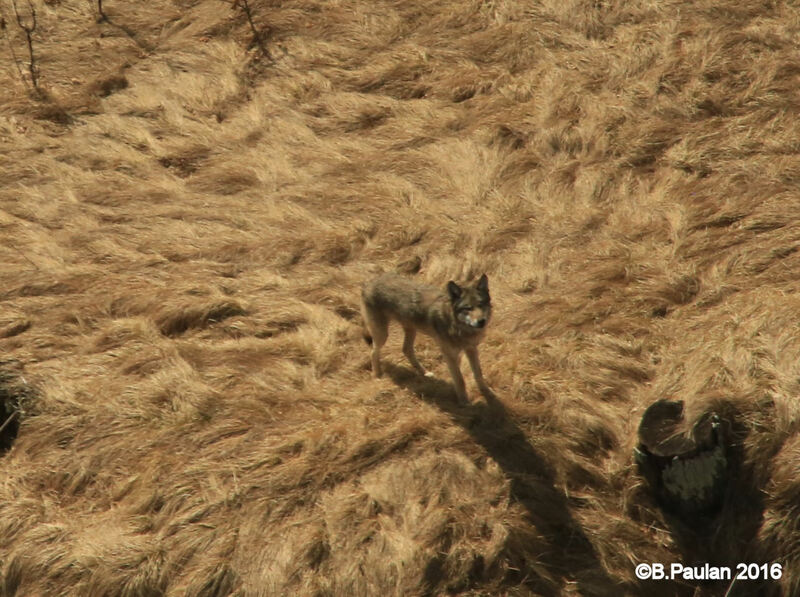 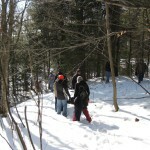 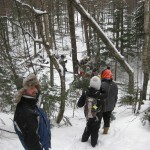 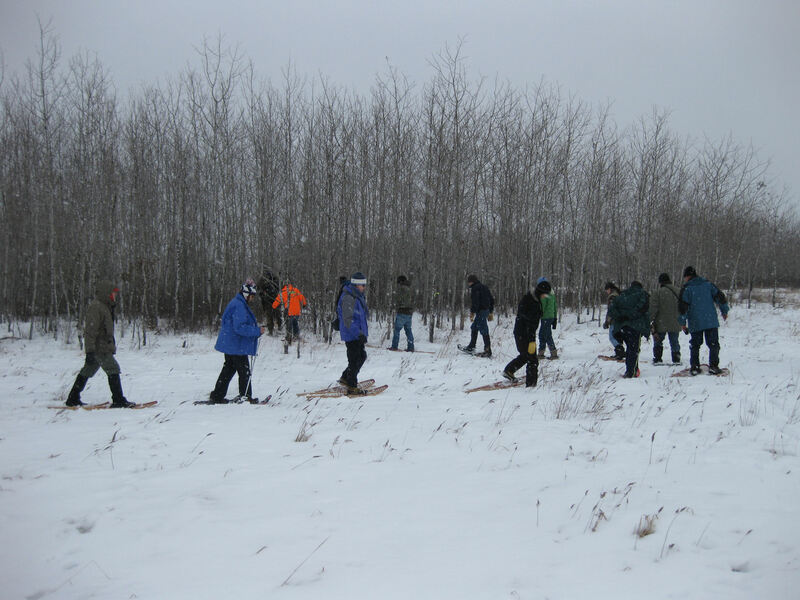 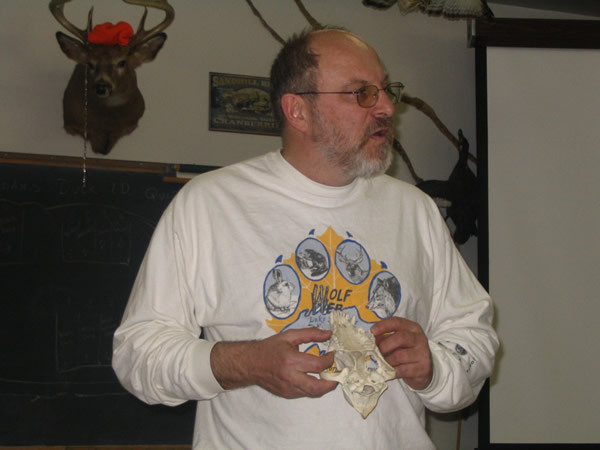 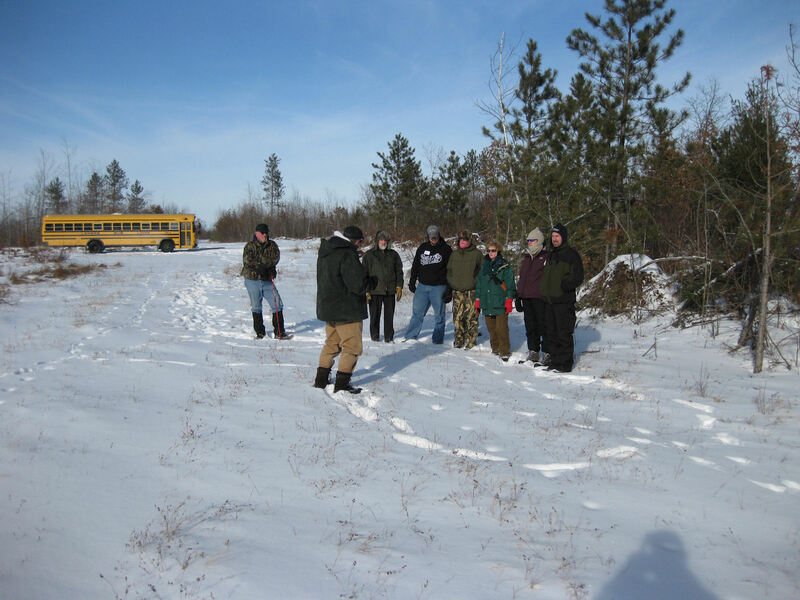 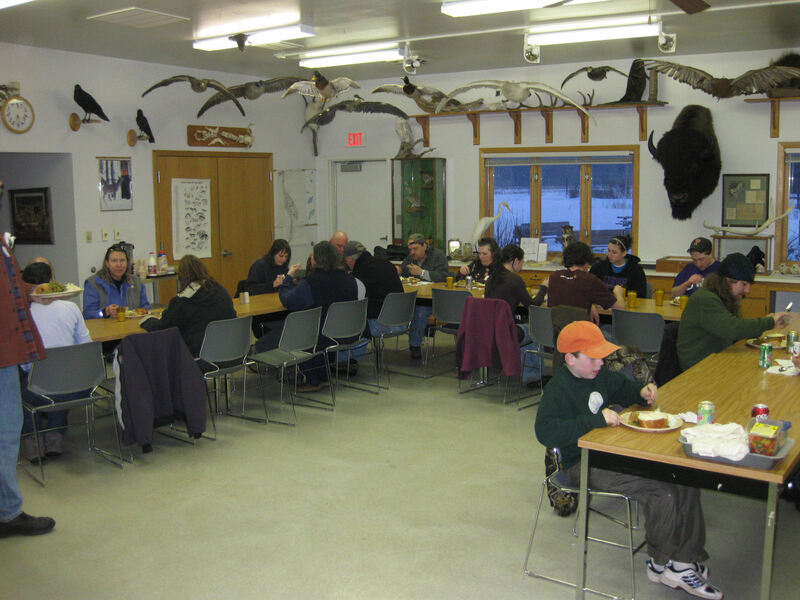 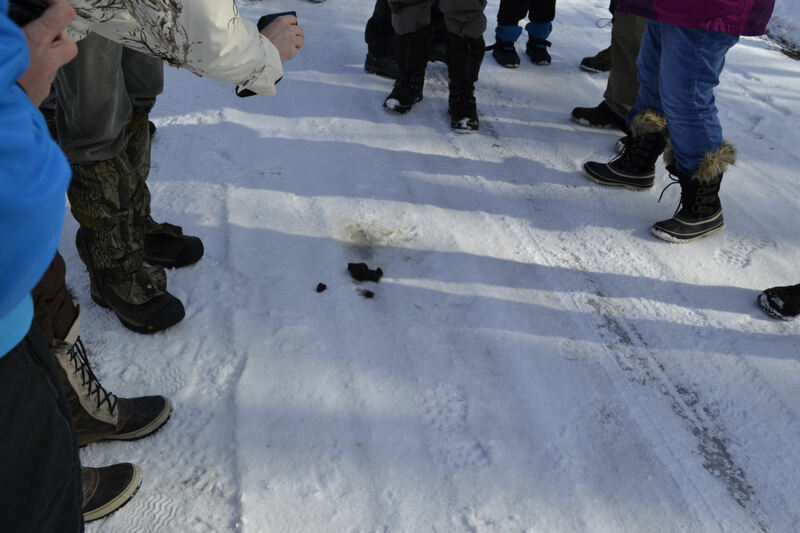 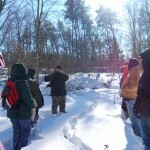 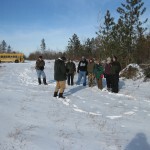 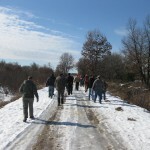 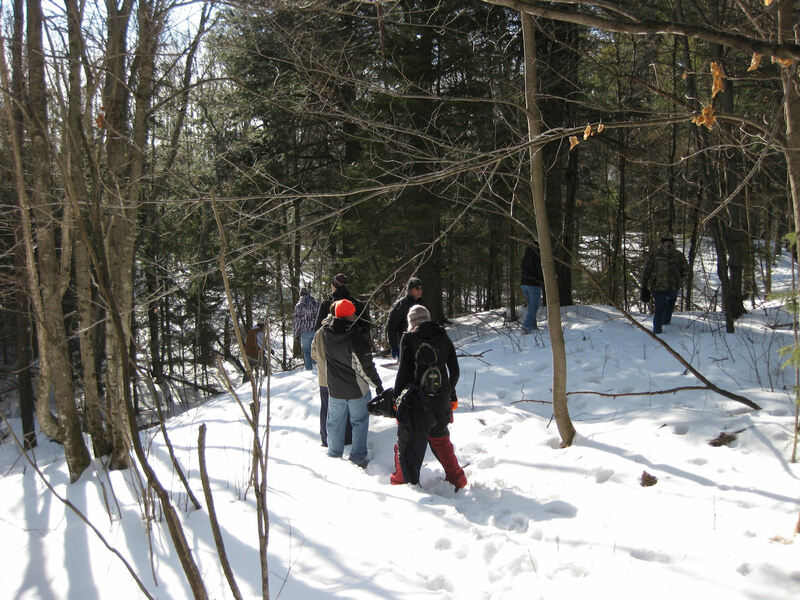 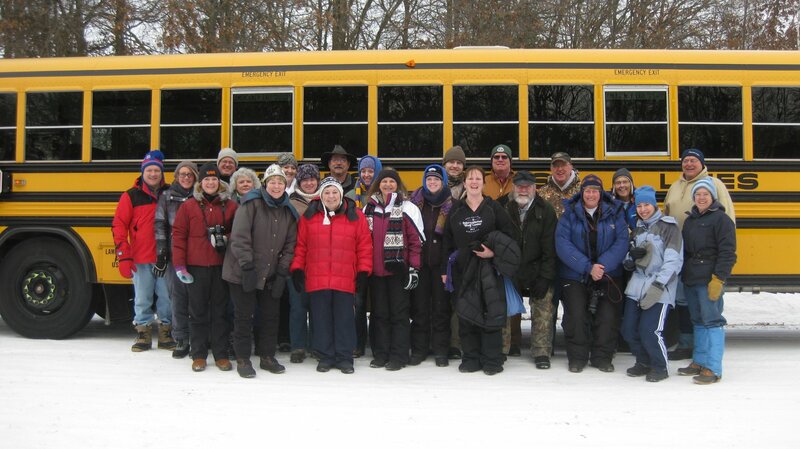 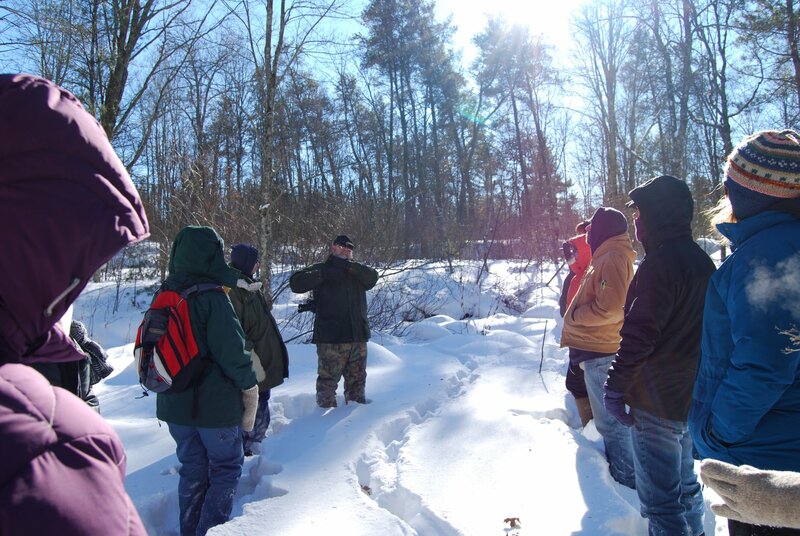 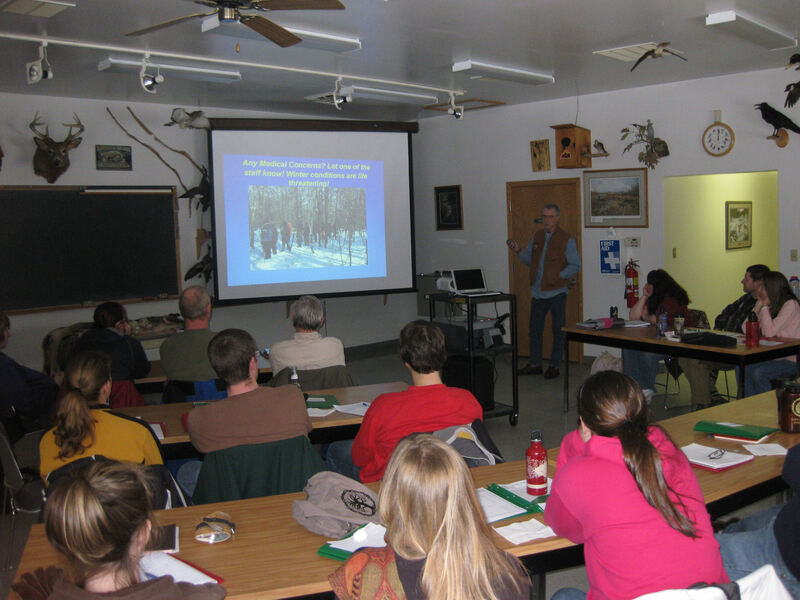 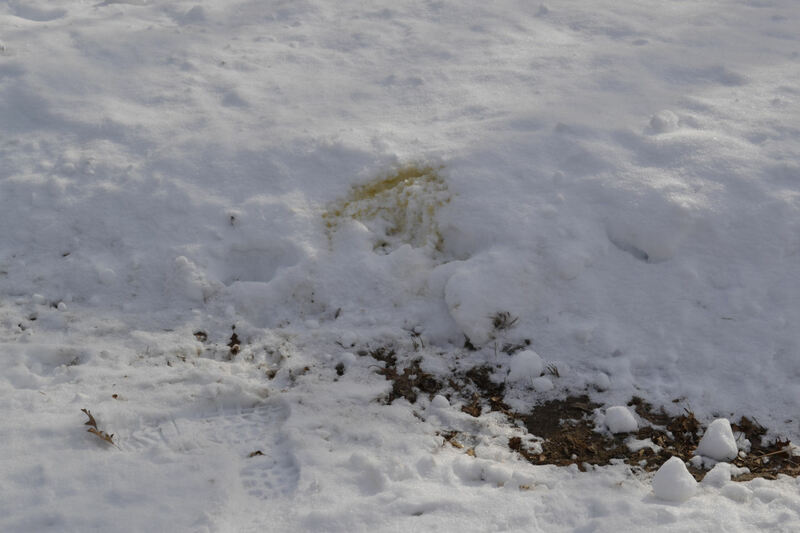 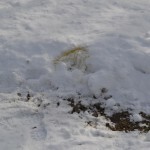 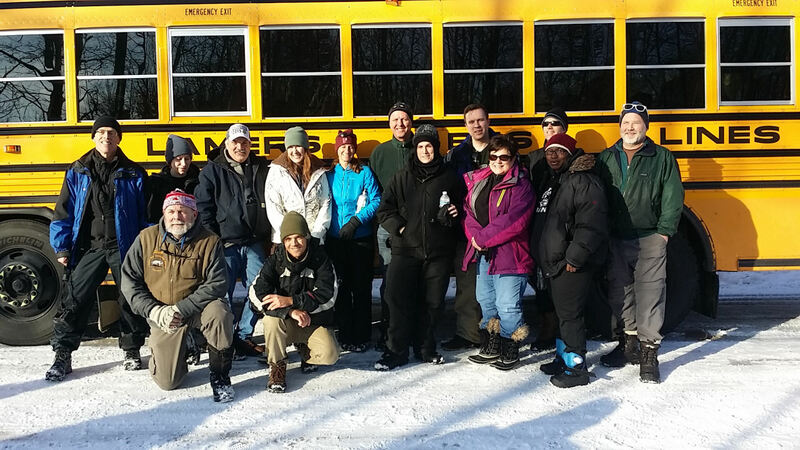 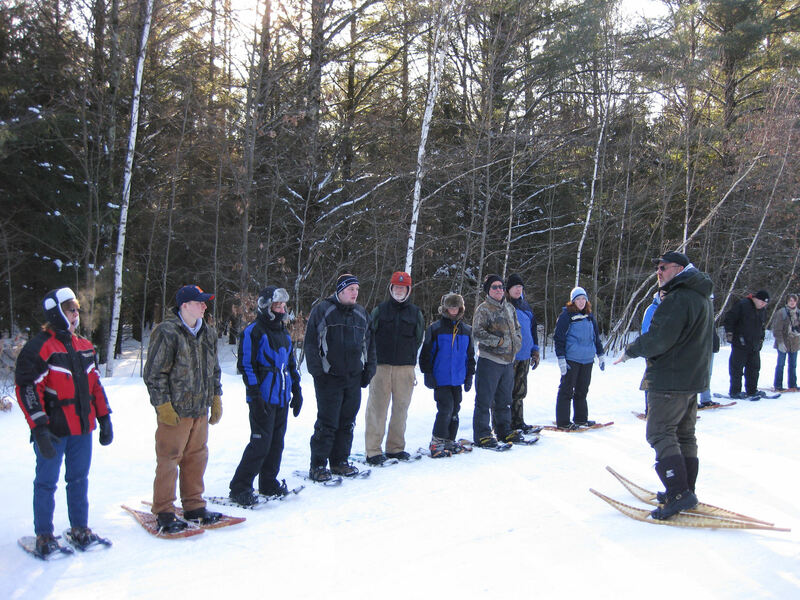 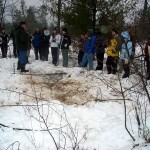 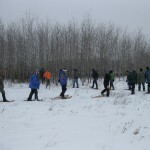 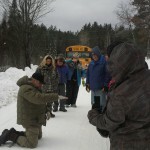 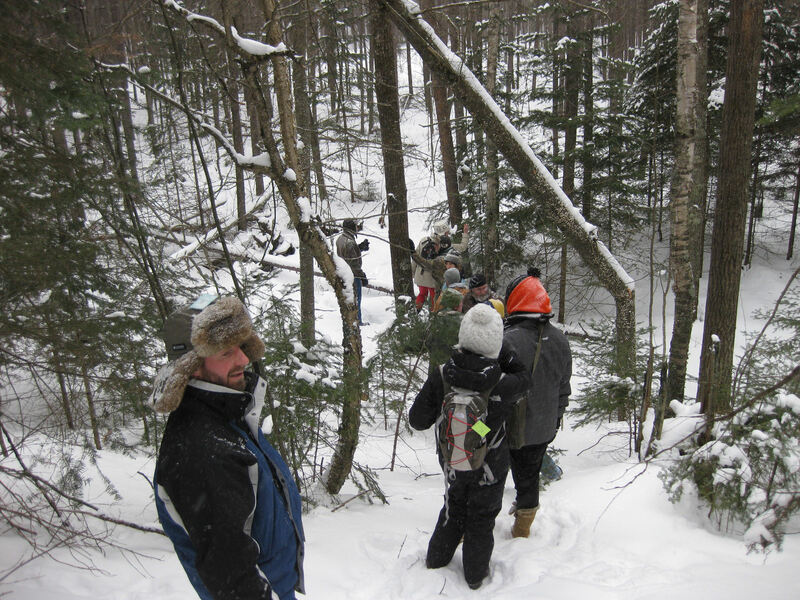 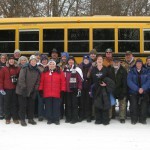 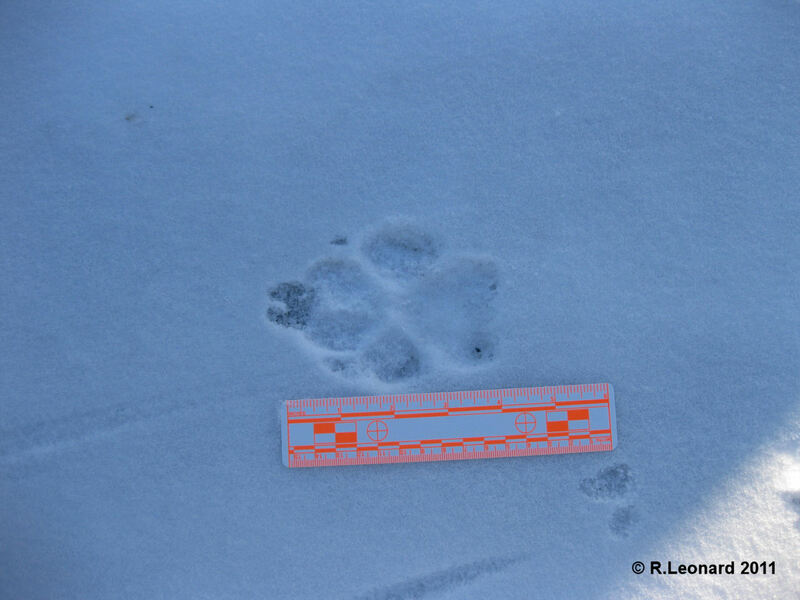 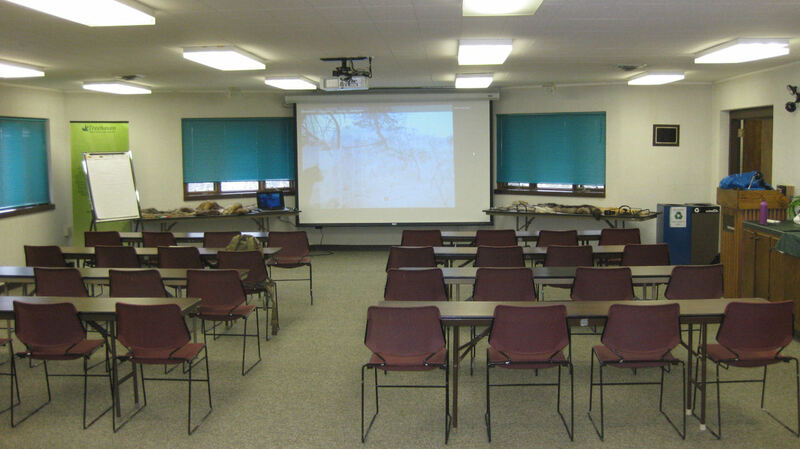 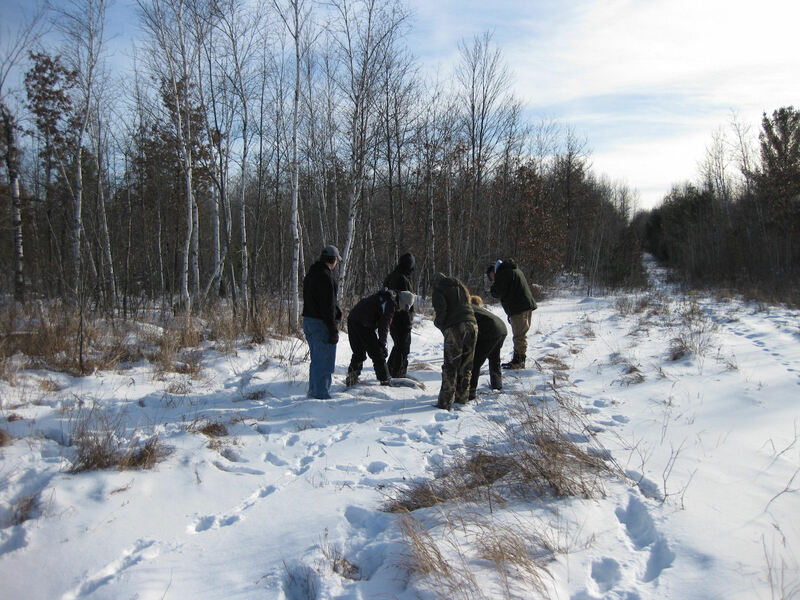 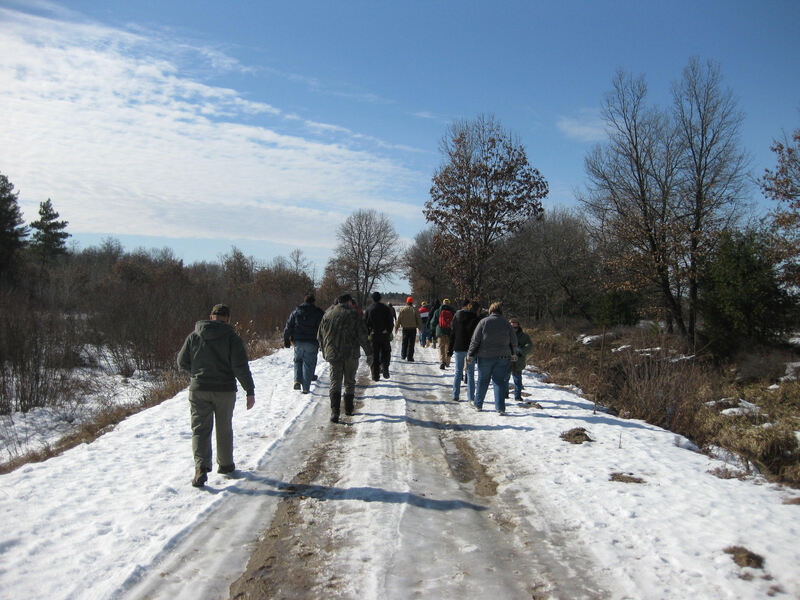 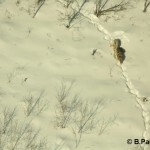 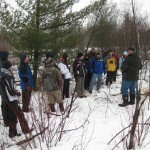 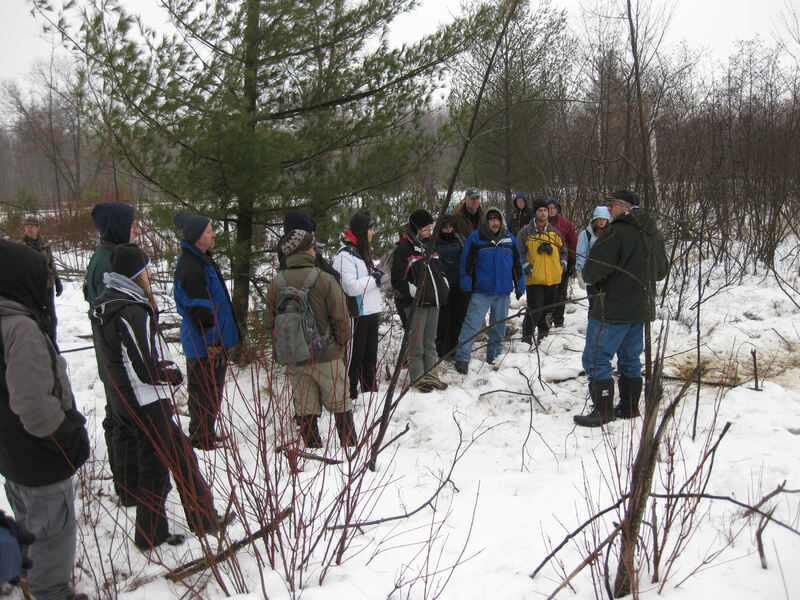 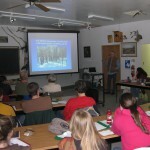 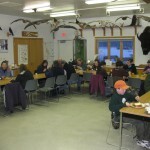 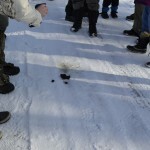 We combine intensive classroom lectures and discussions with a field trip into wolf territory, where we follow wolf tracks and observe how they use the landscape and mark their territory. 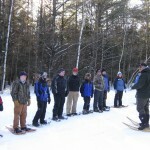 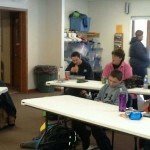 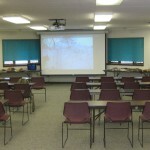 You’ll learn a lot and have a lot of fun doing it! 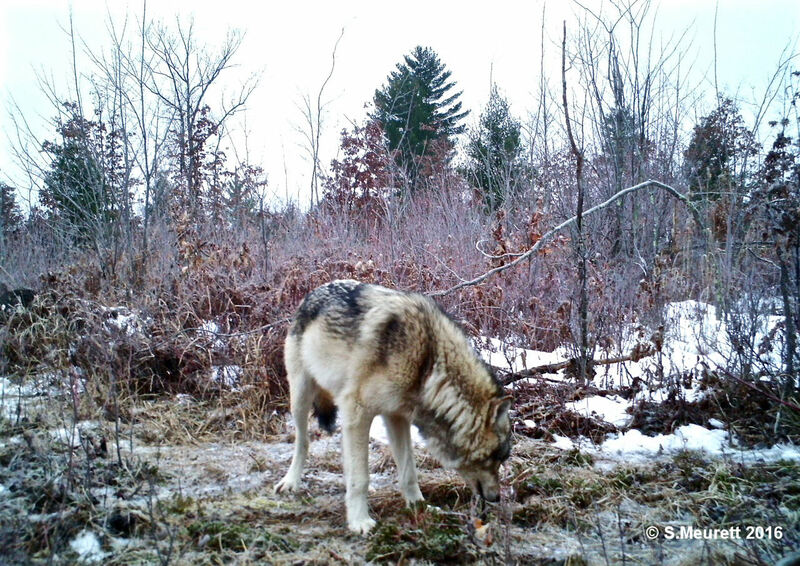 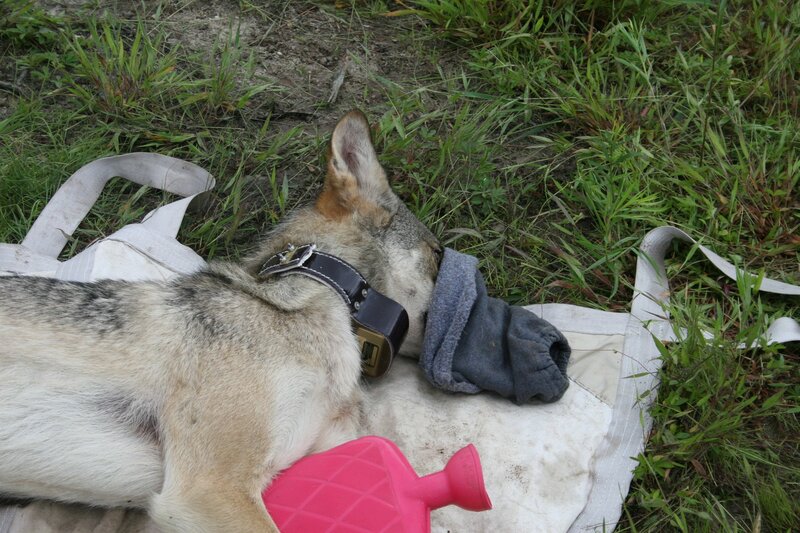 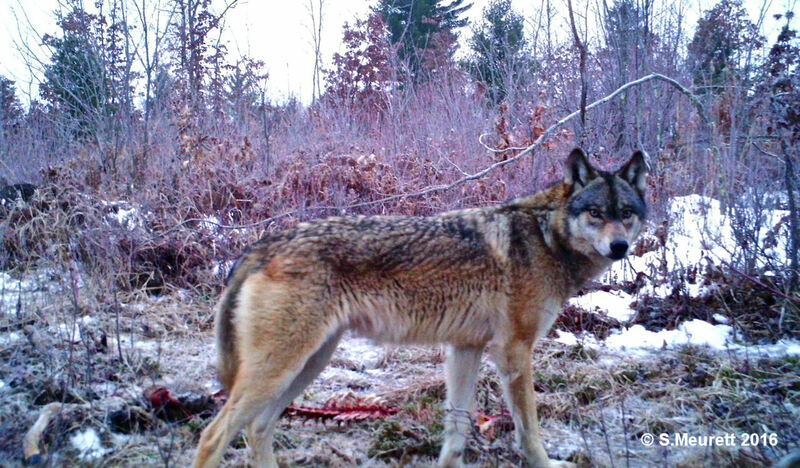 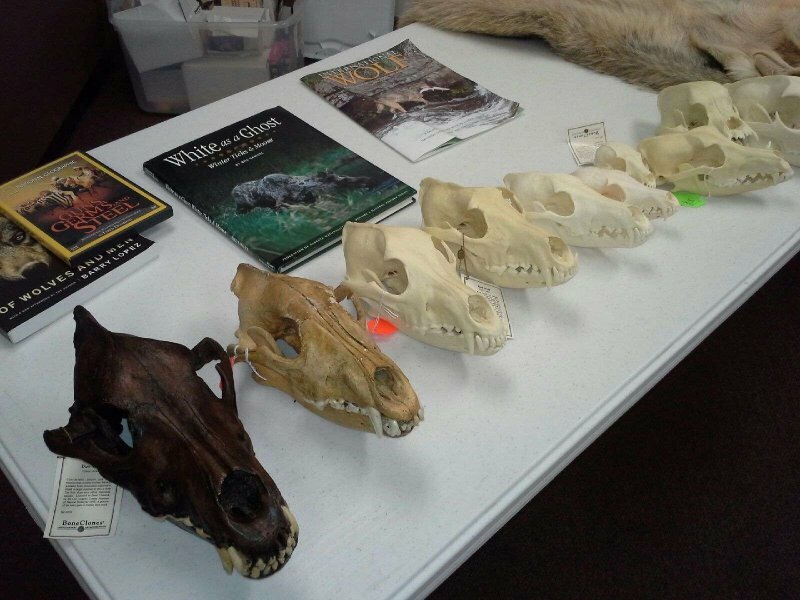 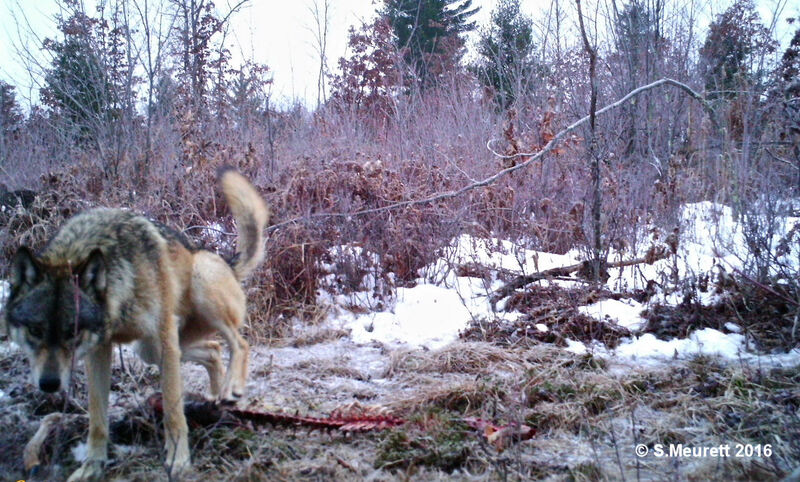 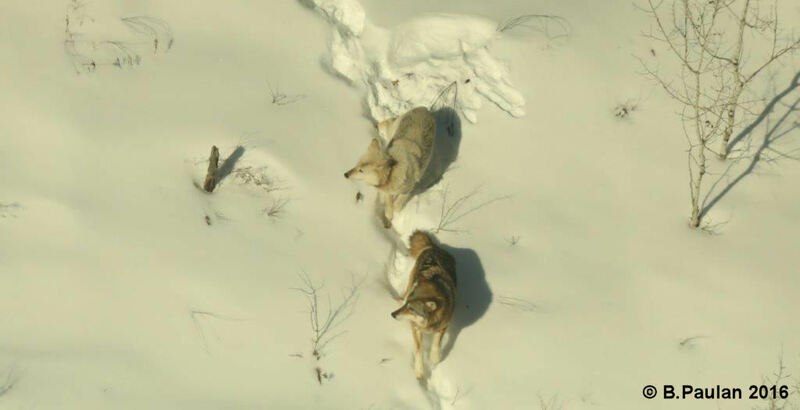 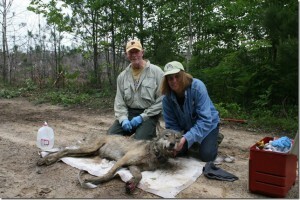 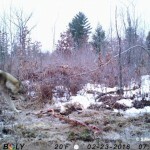 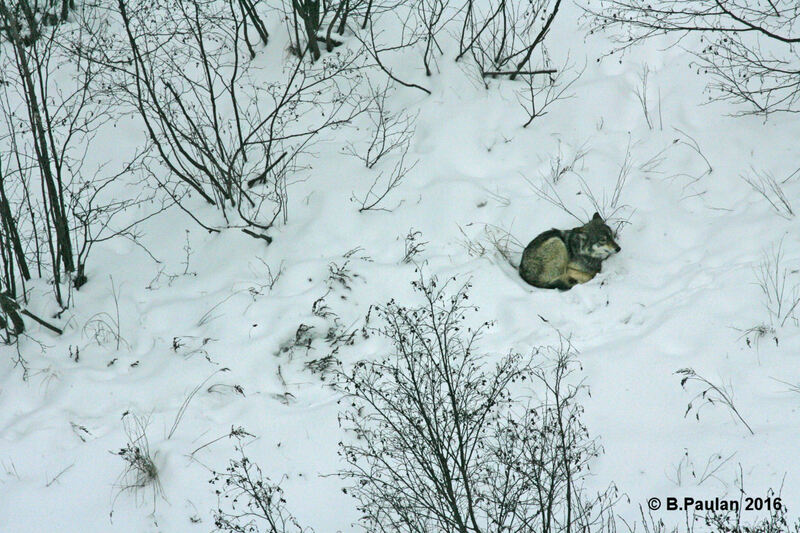 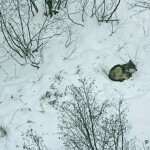 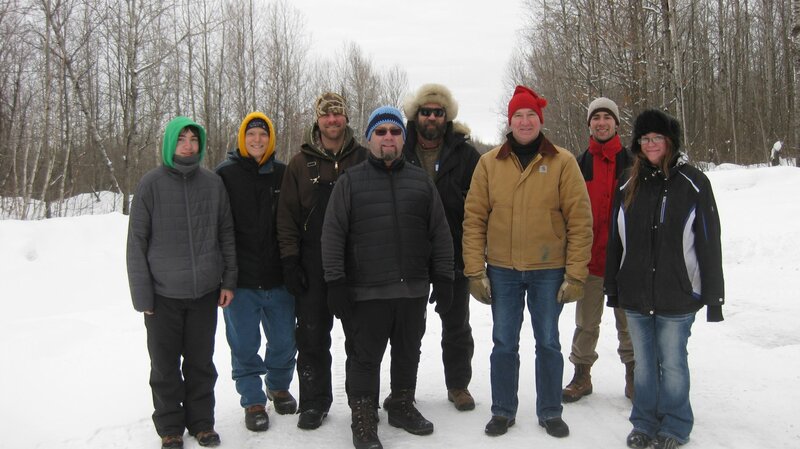 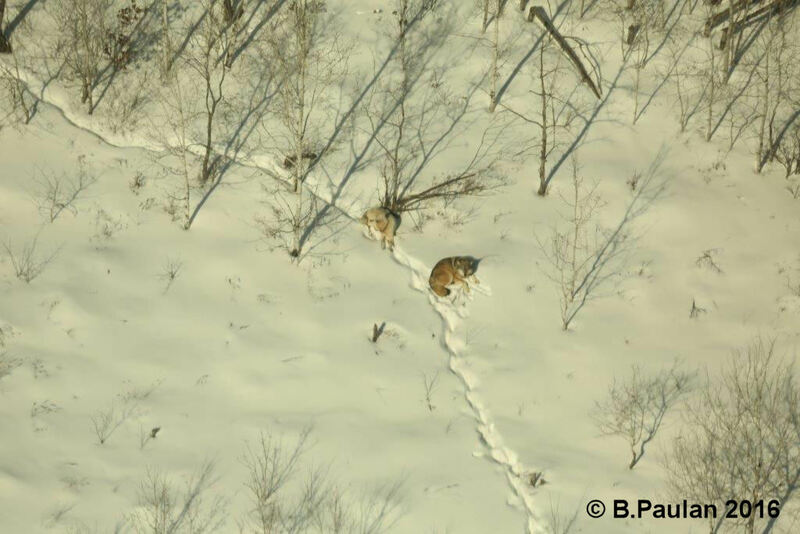 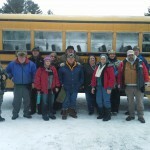 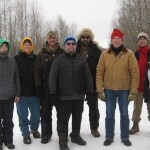 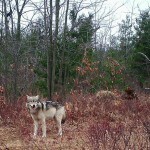 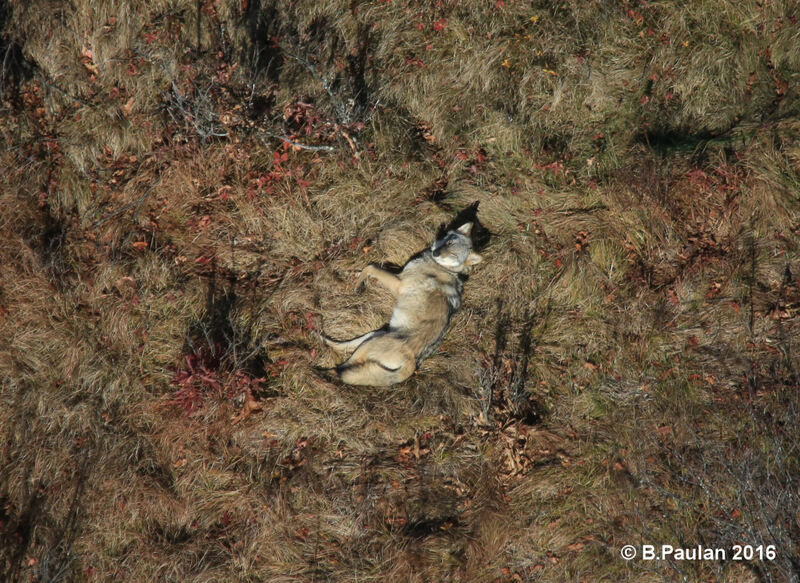 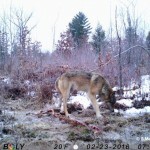 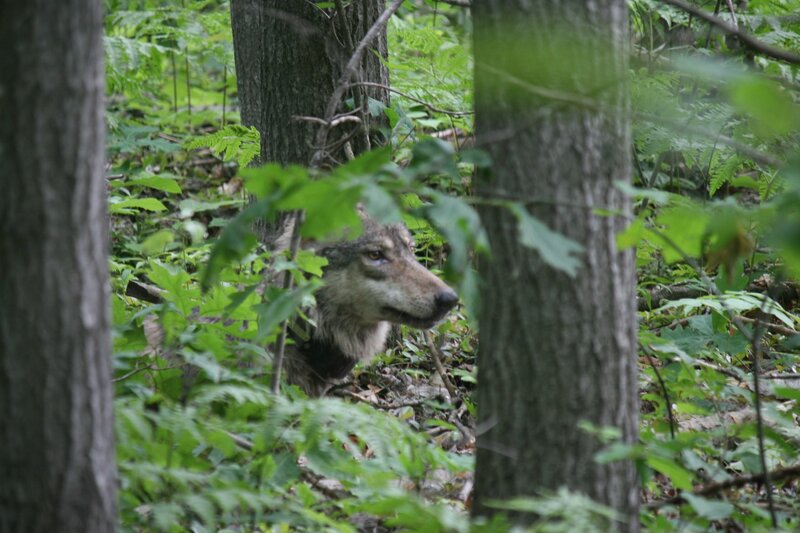 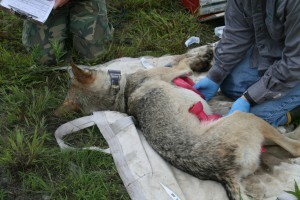 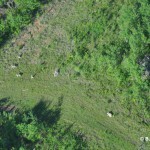 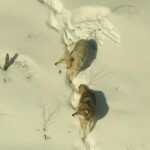 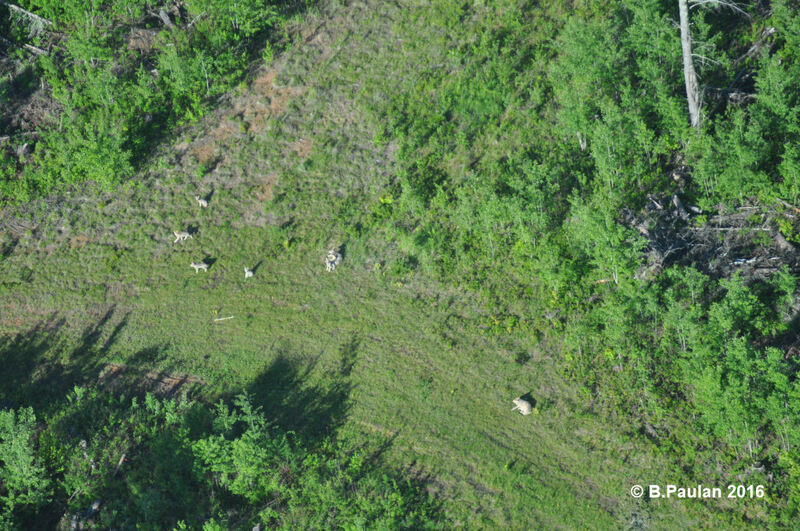 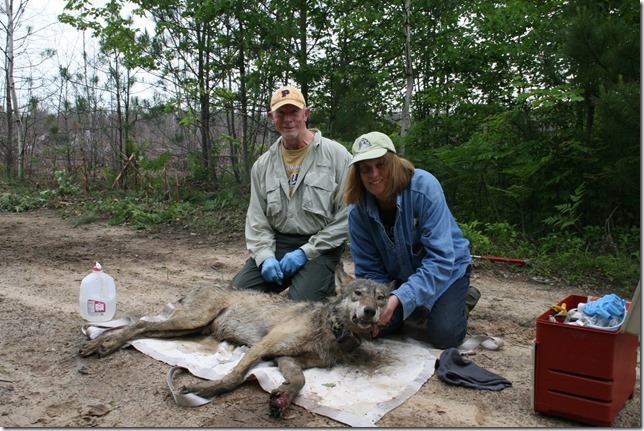 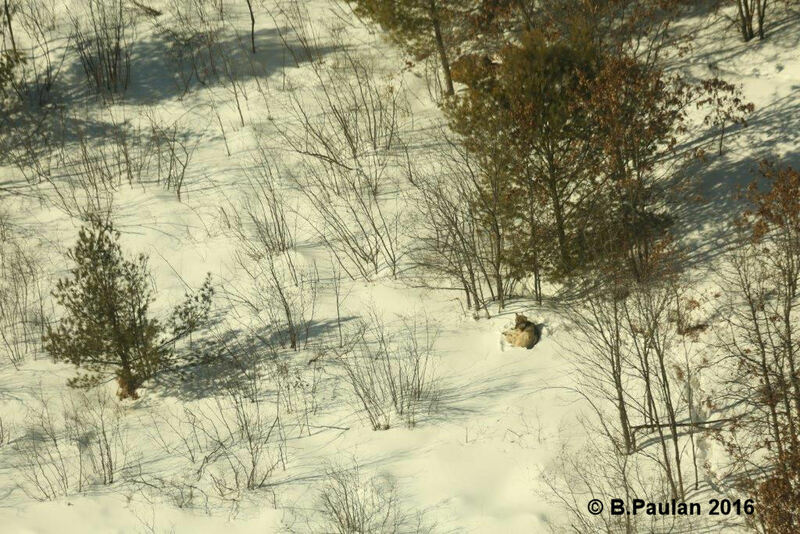 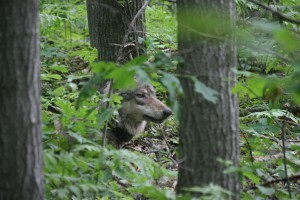 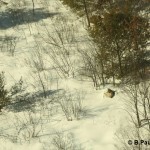 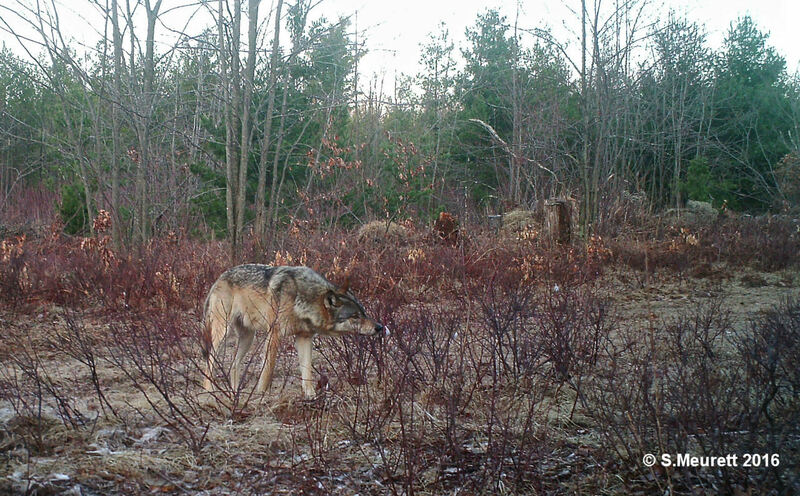 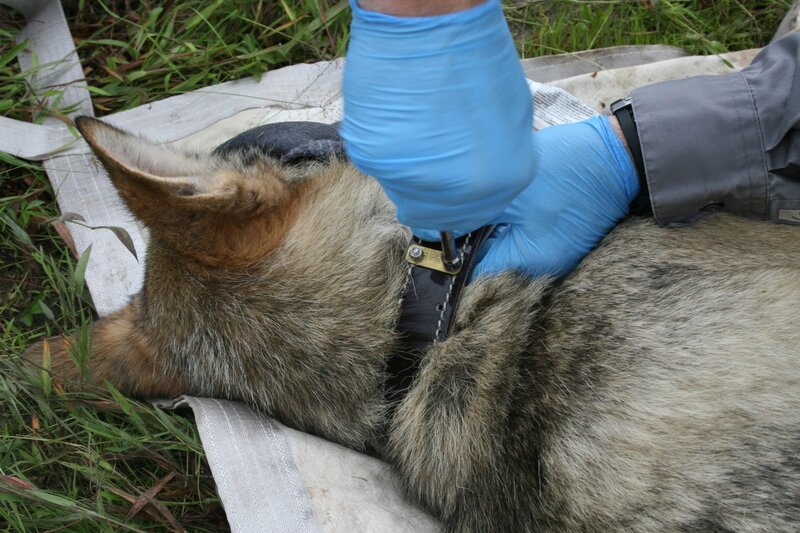 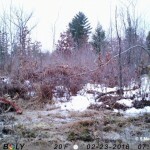 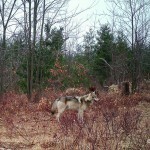 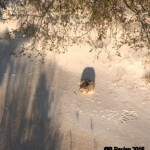 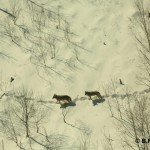 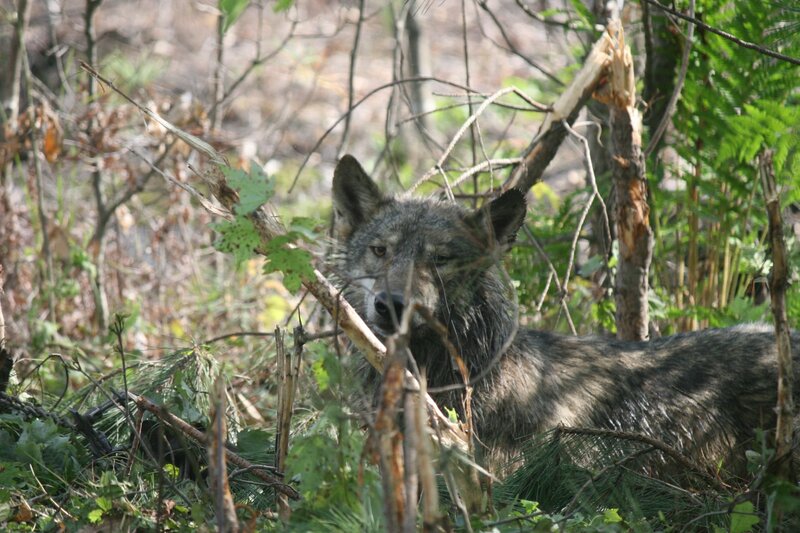 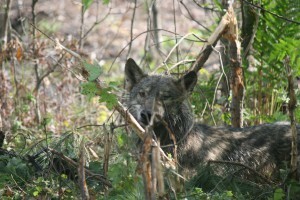 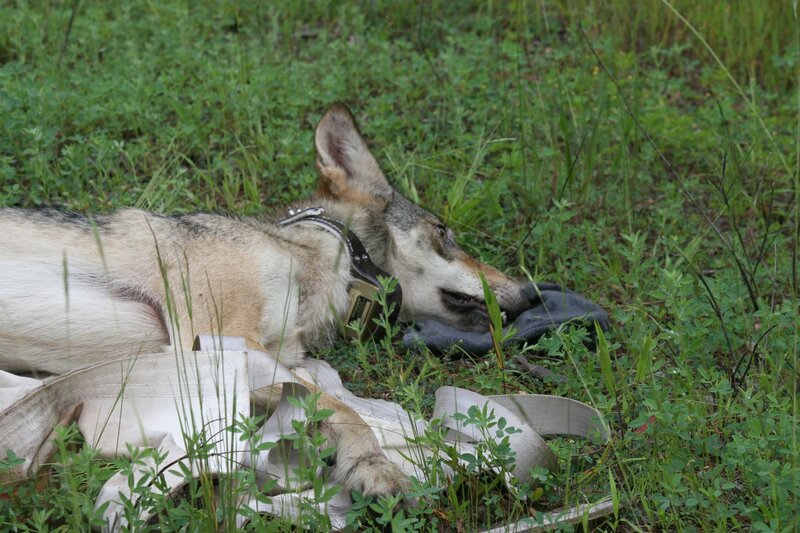 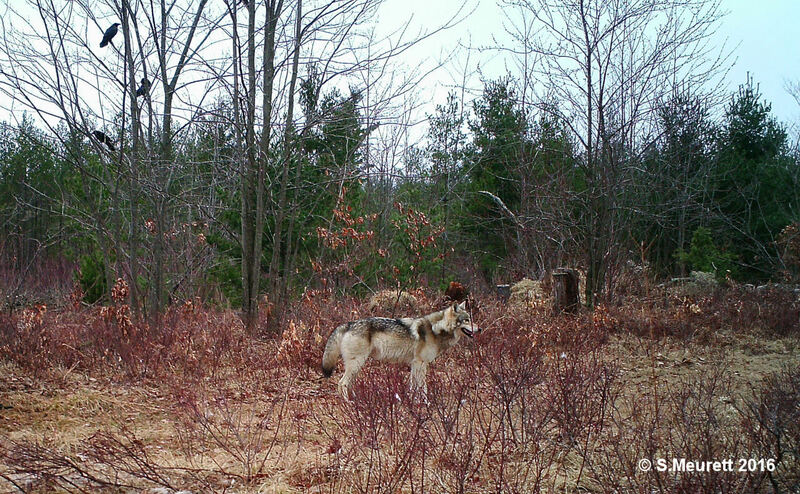 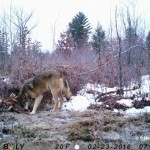 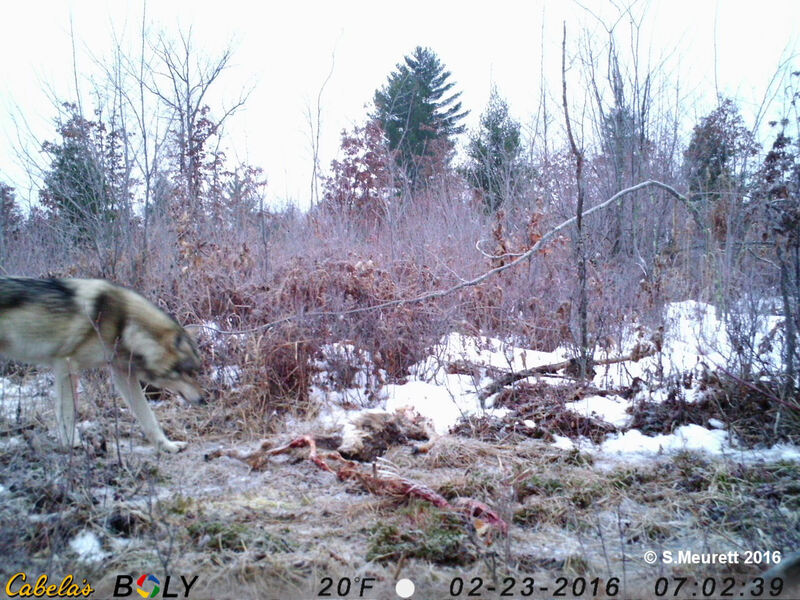 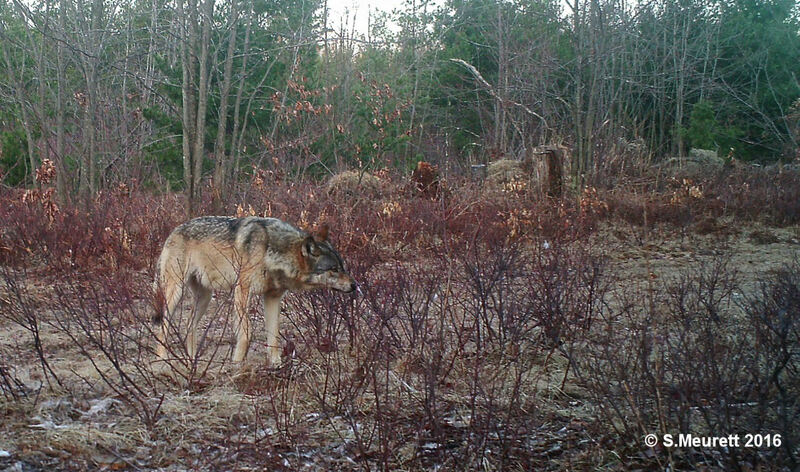 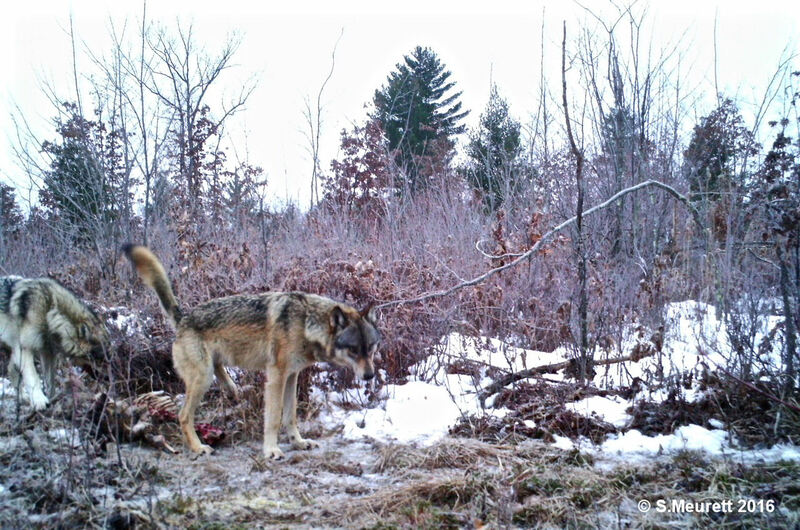 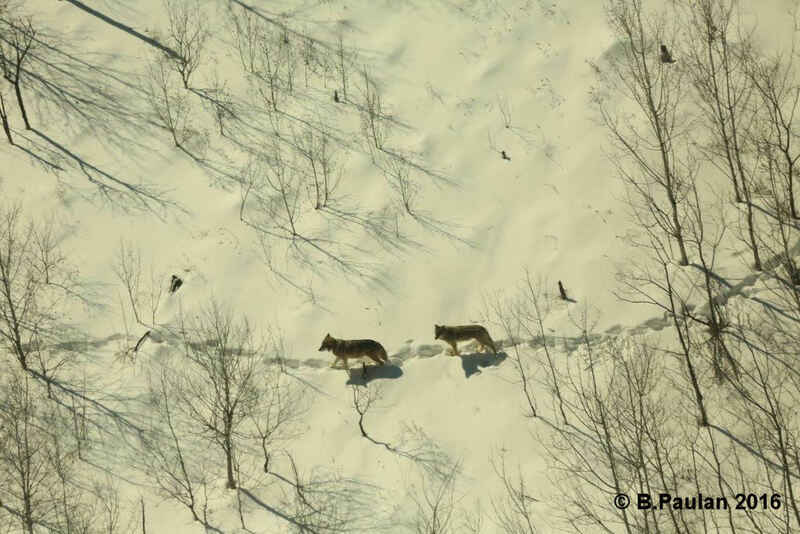 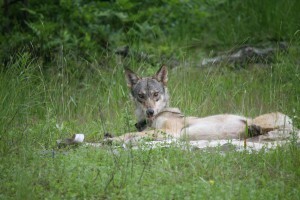 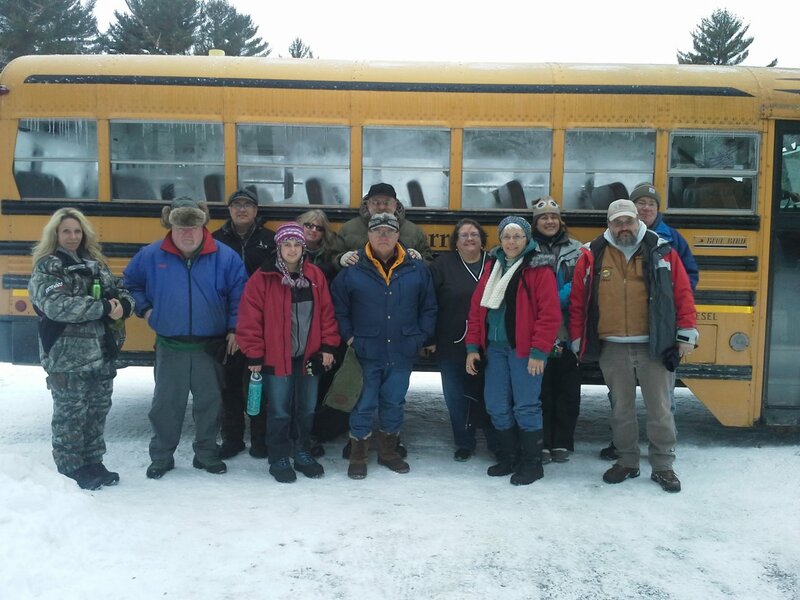 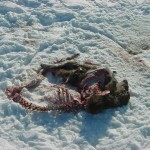 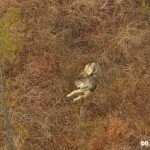 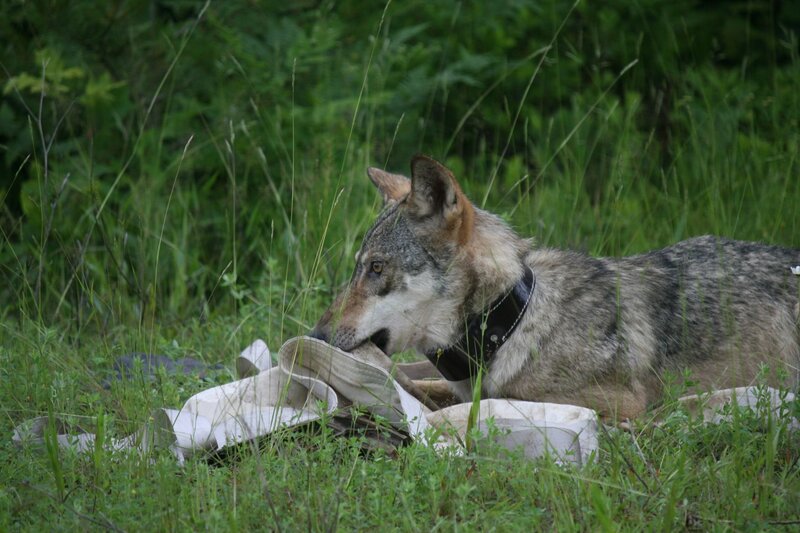 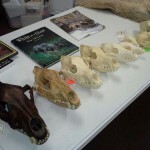 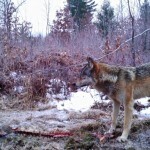 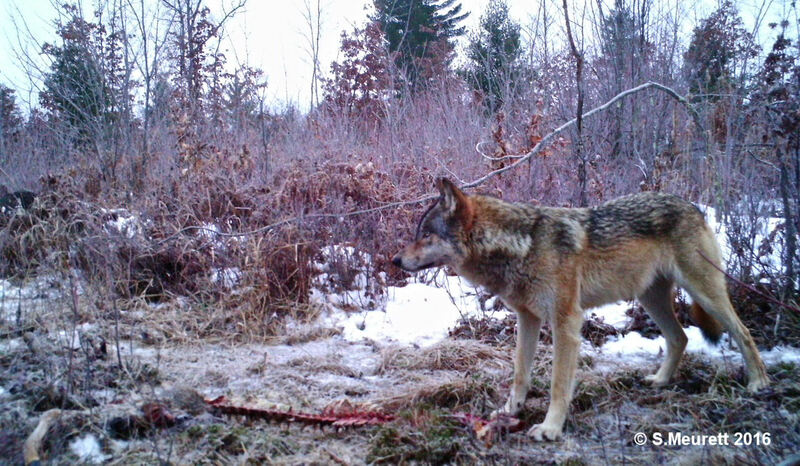 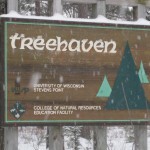 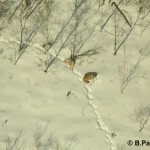 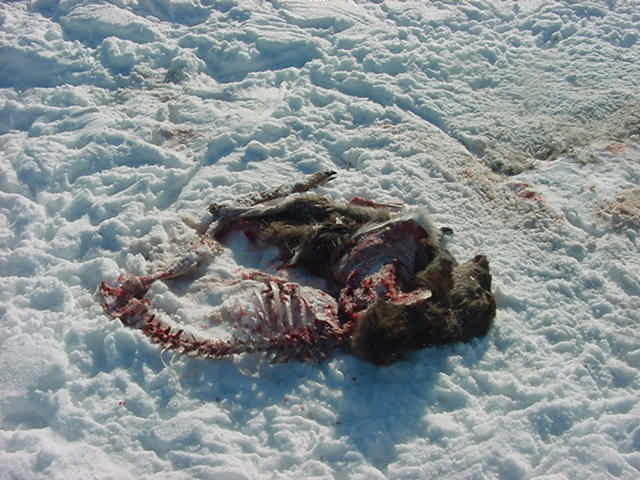 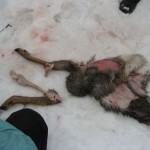 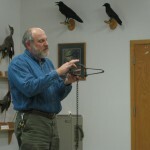 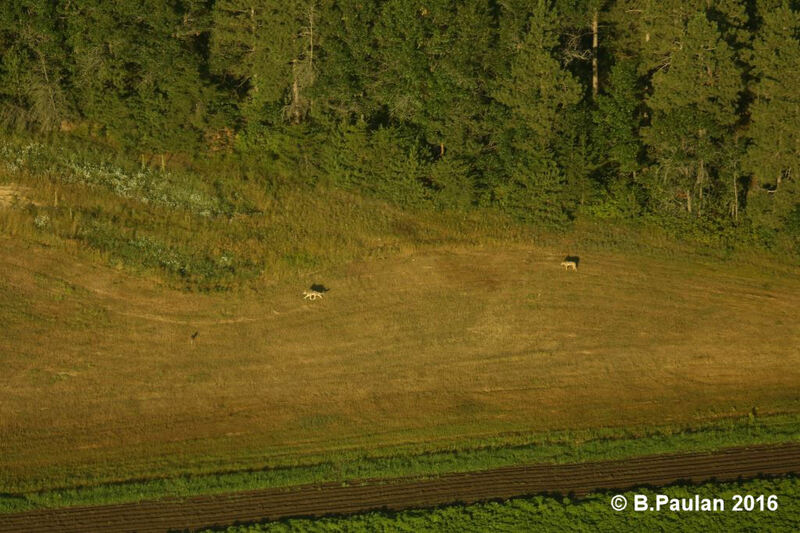 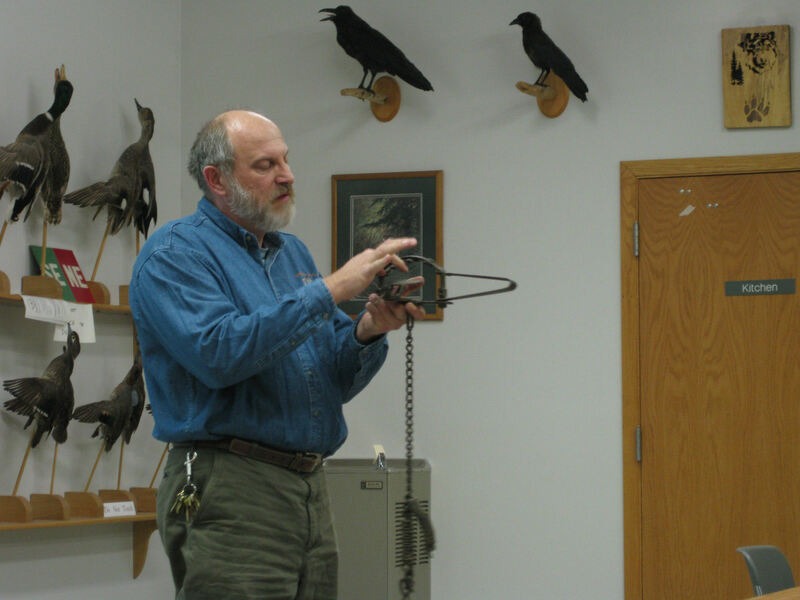 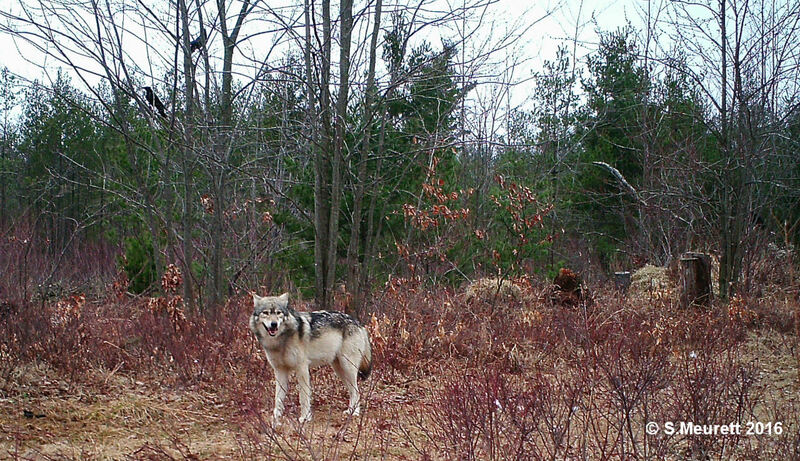 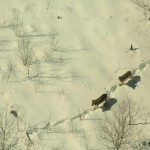 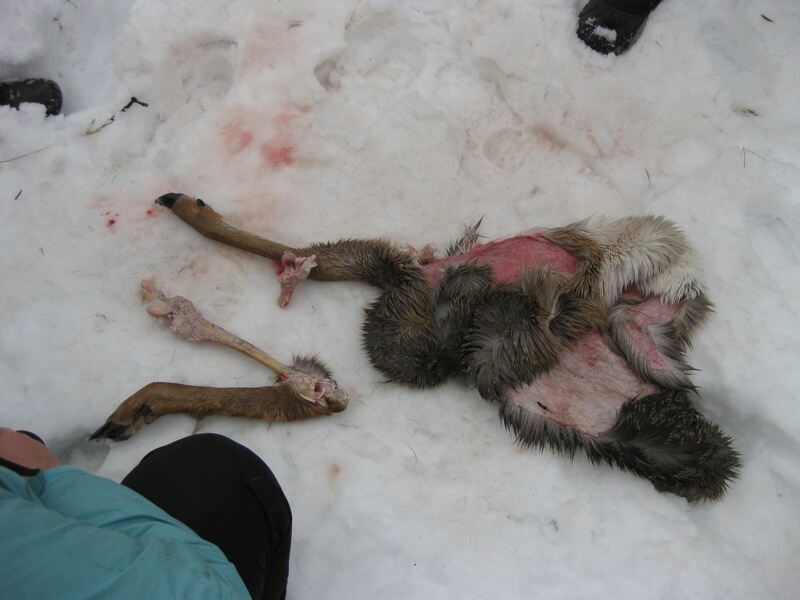 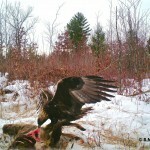 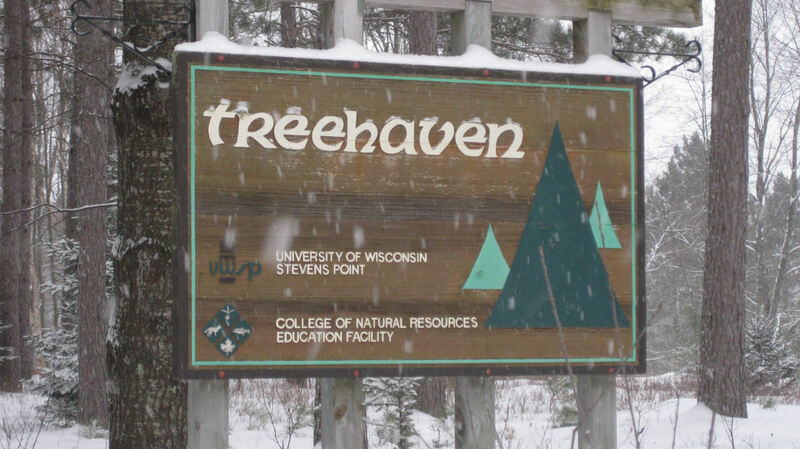 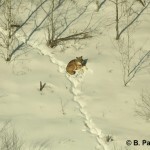 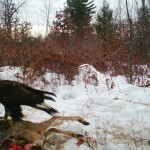 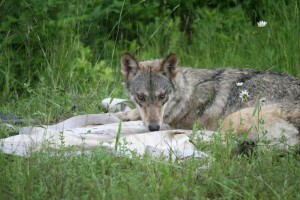 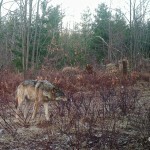 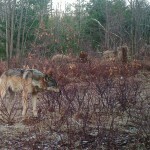 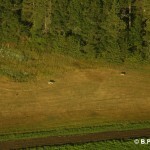 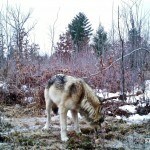 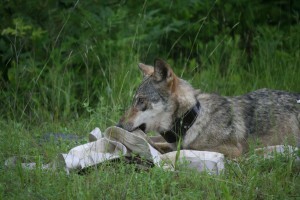 Over the last several years, a cooperative effort between Wisconsin DNR, USDA-Wildlife Services, and TWIN has led to the capture and radio-collaring of a number of wolves in Wisconsin’s Central Forest Region. 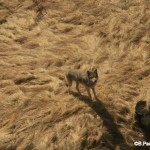 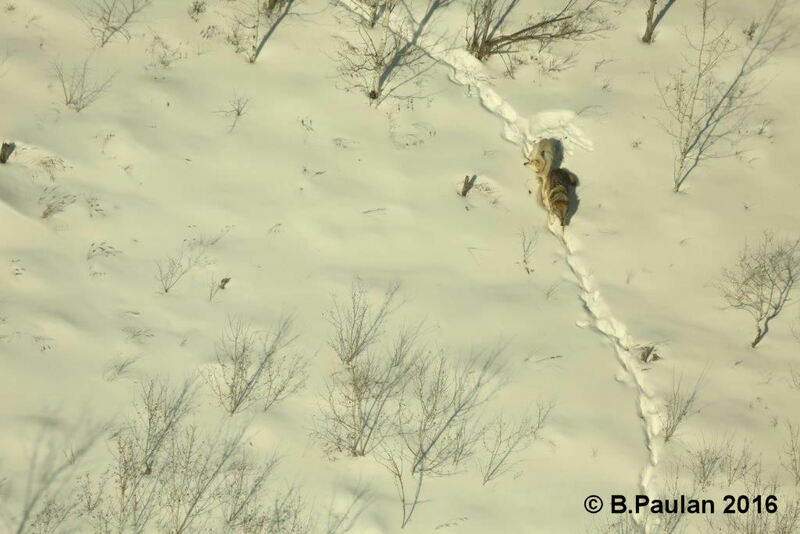 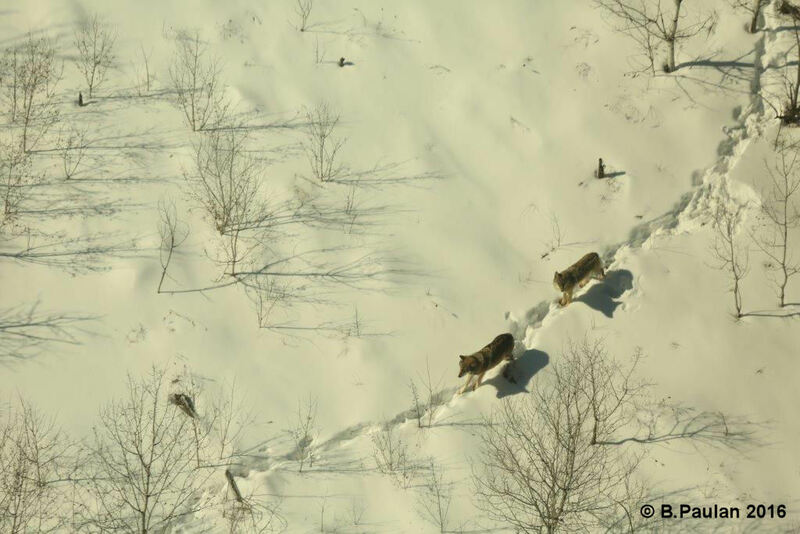 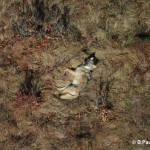 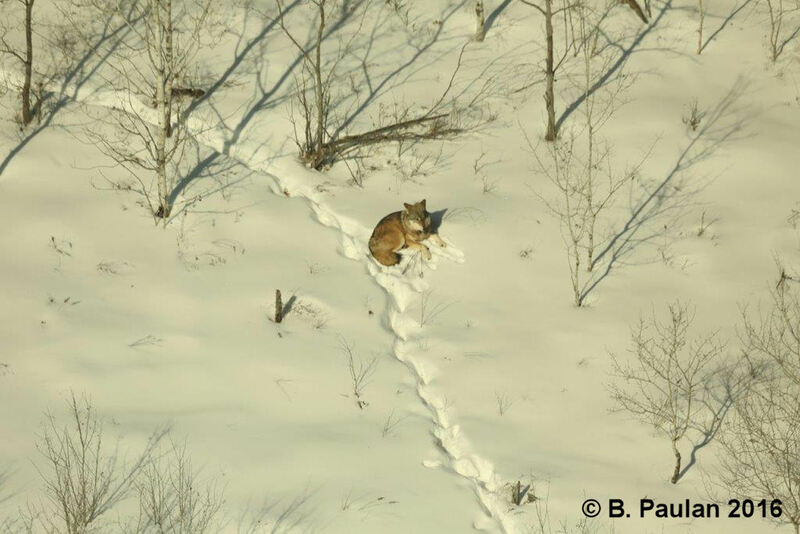 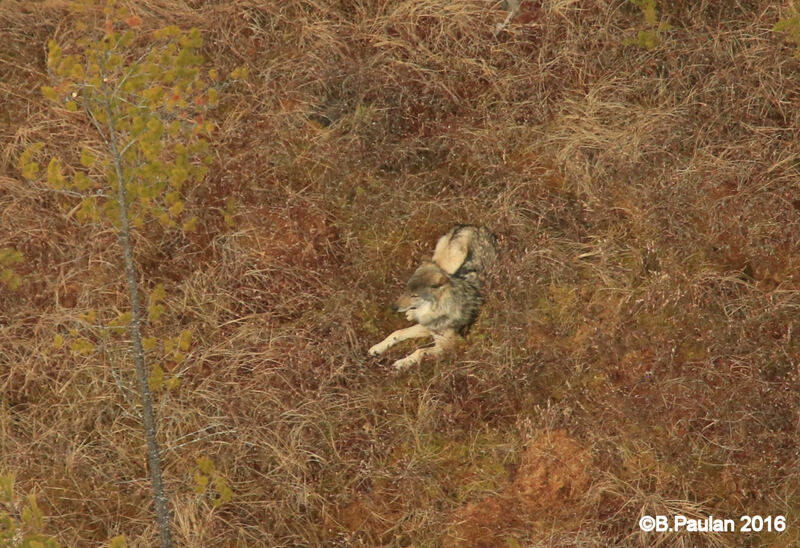 Monitoring their radio or GPS locations weekly contributes valuable data on wolf territory sizes and how wolves use the landscape in their territories.